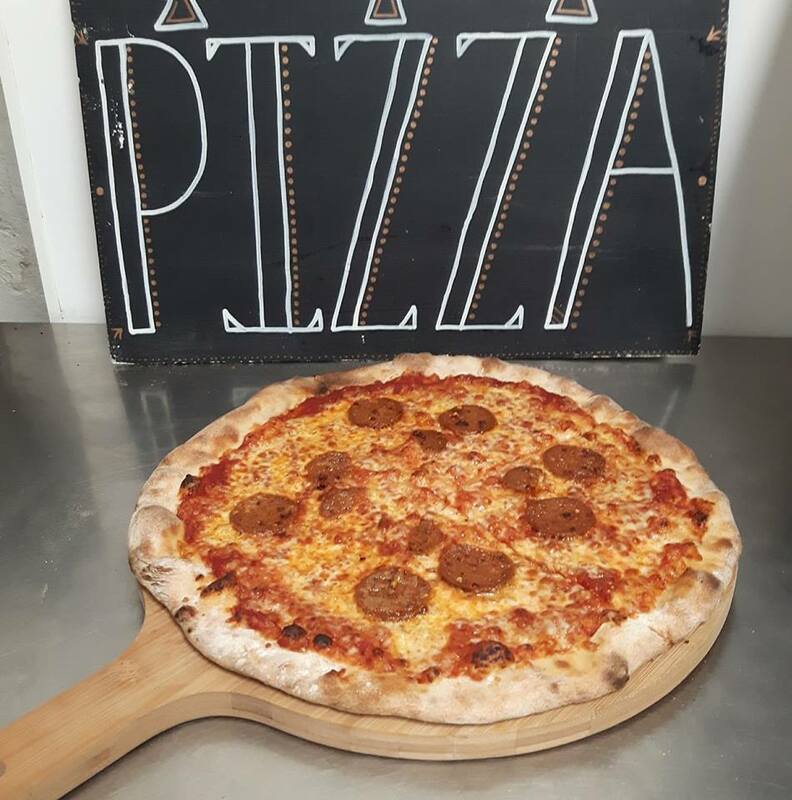 New Pizza Kitchen (specialising in quality vegan and vegetarian toppings!) at The Red Lion, home of incredible live music, parties, punk and cosy firesides. Hi there! I’ve recently opened a dedicated vegitarian pizza kitchen at the red lion bs5, specialising in really good vegan cheese and toppings. Obviously I want to let the vegan community see what we have to offer and the cheap prices we want to keep in the face of vegans being charged more for having good morals!! I can offer promotions and offers for any events you might be supporting. The special vegan cheese mix. Three kinds; a stretchy light mozzarella style, a strong aged style and a sour one, to combine to make a really lush, gooey, vegan pizza cheese.